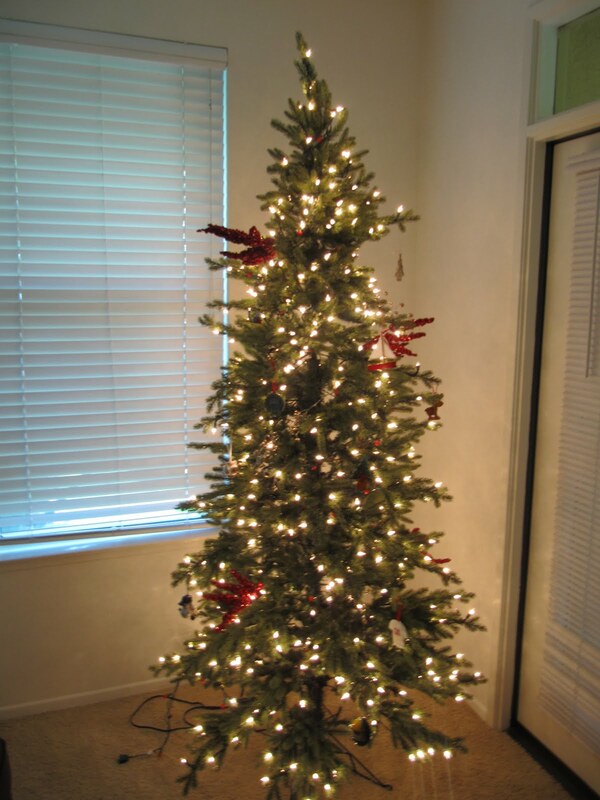 it is never too late to set up your christmas tree!! today was that day for me. CJ said it was ok.. i told him it is only a week from thanksgiving... what is one extra week going to do??? 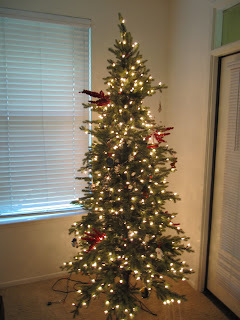 today... along with looking for jobs.. making cookies.. and bringing cj lunch... i put up the tree! i have an interview on Friday at nordstrom... so we shall see.. all the grown up jobs... no one likes me... so i am taking a step down and looking elsewhere... a.k.a. NORDSTROM! wish me luck! on Sunday we went to Toni and Aaron's to make some dinner and play Mario Kart. we made little pizza's and salad. this is so funny... i hear bailey yelling my name in the store, so i came, and she was like take a picture of me with my friends.. haha. kinda creepy... he friends don't have heads. here is the lil one and Toni and old navy.. look how cute that owl hat is... Brooklynn loved it. 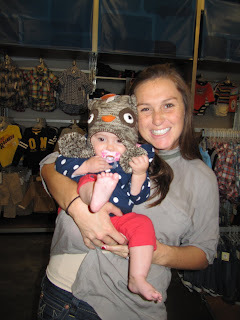 Brooklynn loves cj... here they are bonding. she just stares at him.. they had a photo session on the ipad.. and she was laughing her head off with cj. it is pretty cute! Keri mae you mean it's never to EARLY. 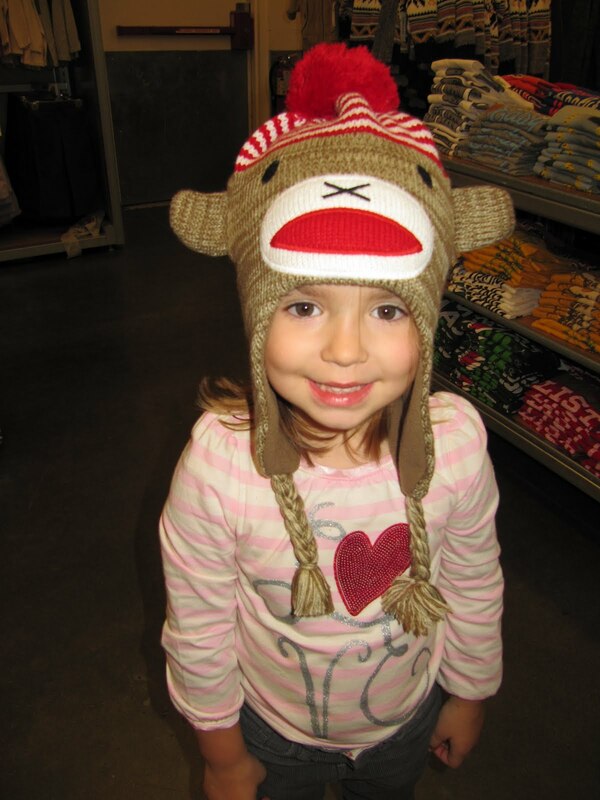 Bailey looks beautiful in that picture of her in her hat. Bailey is such a doll!! I love her friends haha!